Yesterday, however, was a different story. 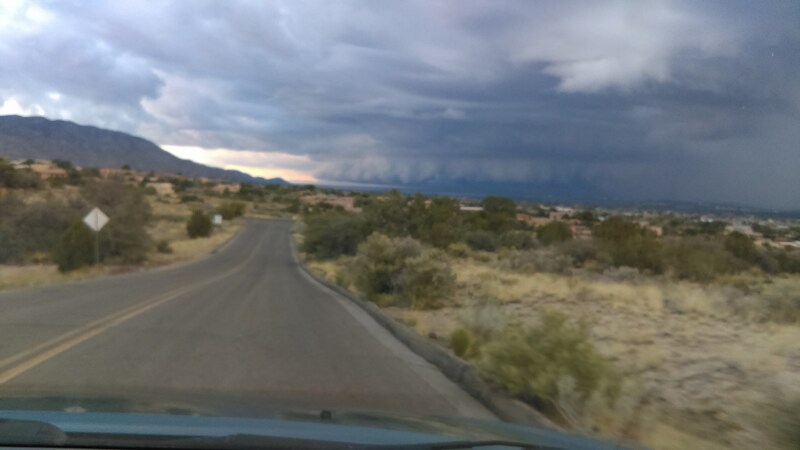 It rained off and on all day in Rio Rancho. We were receiving the tropical moisture from the remnants of Hurricane Bud. That, combined with some instability led to a few nearly-severe storms. We ended up going to the other end of Albuquerque for a bit. While I was there, I received a series of photos from friends and family. 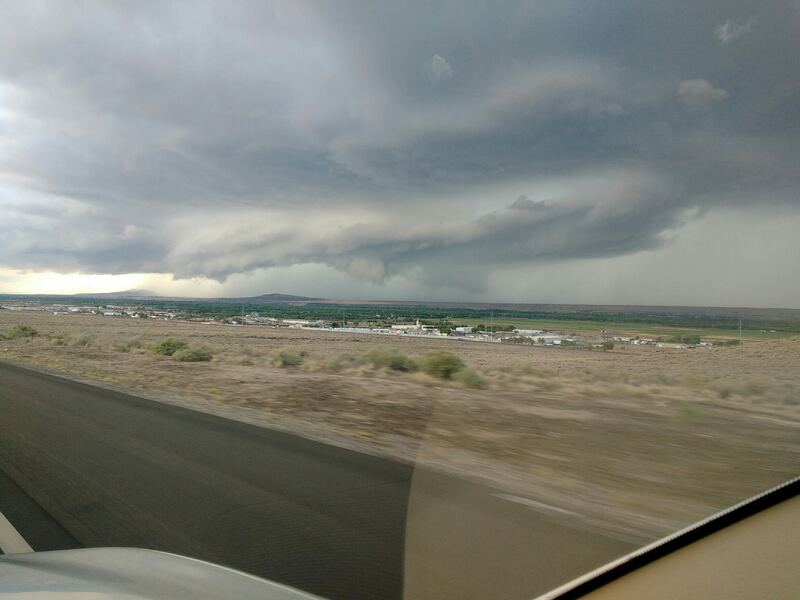 First, my brother declared, “This Bud is for you!” He sent a nice photo of a suspicious lowering (maybe trying to be a wall cloud) and heavy precipitation core just north of Socorro. 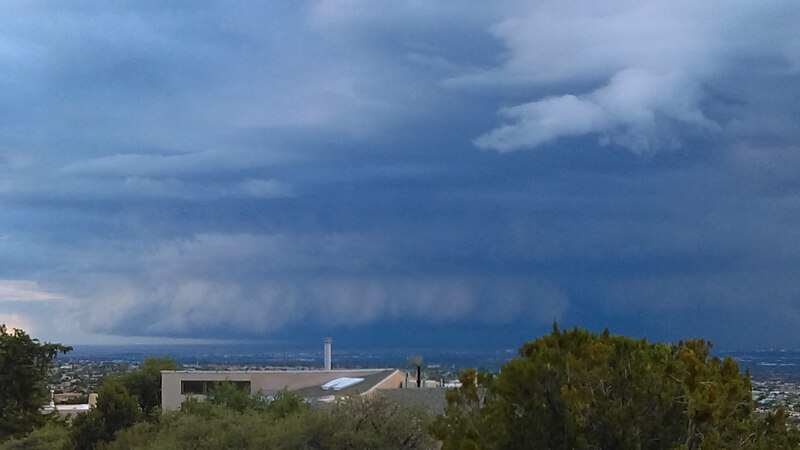 A little while later, a former student and old friend of mine, Laura M., sent this series of photos in Albuquerque. The shelf cloud is very obvious. These were a good find as well! I left my table and looked outside, but could not see but the very edge of it before the heavy rains hit. Thank you, James (my brother) and Laura M. for these photos! 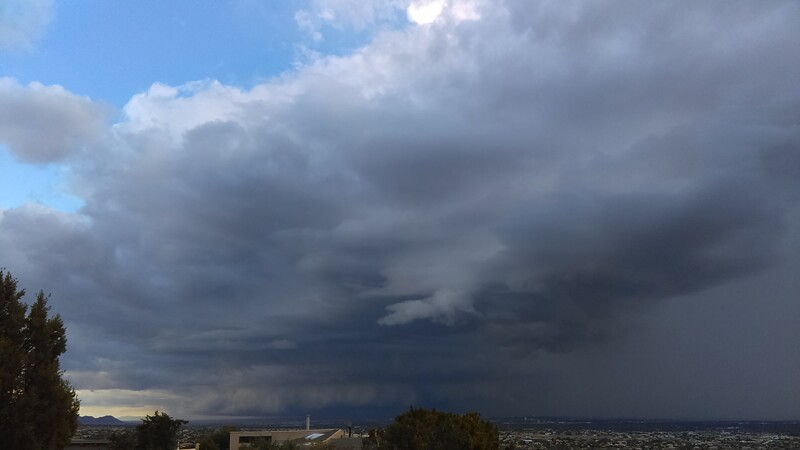 This entry was posted in Follow Up, Local WX, Photography, Submitted Photos and tagged albuquerque, Belen, Los Lunas, meteorology, New Mexico, nmwx, photography, rio rancho, Socorro, storms, weather. Bookmark the permalink.